Forever rushing forwards, ‘Saturday Night’ isn’t content to sit still. It’s illuminating and infuriating, but never easy to ignore. Saturday Night is violent and warm, seeding new life and capturing Darcy’s unexpectedly theatrical range with heart, humour and generosity. You’ve never sounded more relaxed, more relieved to be relaxed – and the soft edges, the familiar refrains, the gentle tones, they’re all windows to that light in you. Saturday Night is a confident debut from a creator who's best when he seems uncomfortable. 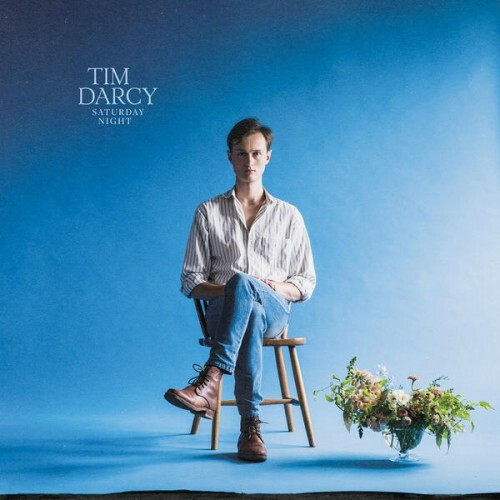 So long as he keeps evading his comfort zone, Darcy's songwriting should remain potent for years to come. On the one hand, Saturday Night does exactly what you expect a solo record from a member of a raucous rock band to do: It’s more off the cuff and rougher around the edges, and showcases a more introspective side than the day job normally allows. On the other hand, it’s an assault on that very idea. Saturday Night's biggest accomplishment, then, is rounding out Darcy as a songwriter. Not only is this a pleasant little rock album, but it makes Ought's output more understandable as well. Fans of Ought’s signature scintillation might find ‘Saturday Night’ a touch indulgent, but let Darcy off – he’s cleansed the palate in intriguing fashion here. Not that Saturday Night is a sullen acoustic-guitar record; rather, Darcy is more reflective here, sometimes channeling early solo Lou Reed and sometimes wandering into more experimental meditations. Saturday Night is less obtrusive than an Ought record, and is a collection of songs more suited to the reclusive aspect of Darcy’s make-up rather than a handful unsuitable for development with the band. While the end result is an uneven keel, the most important part of the experiment may be that Darcy’s unafraid to dip into various streams of creativity. A scatterbrained mess of an album, and not in a good way like Thundercat's Drunk, in a totally unfocused and boring way. 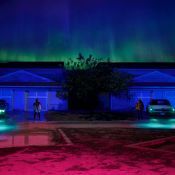 This album comes off super incohesive and uncaptivating to me, never at any point throughout this album's run-time was there a moment where I got legitimately excited by what I was listening to, it's highest high for me was the song Found My Limit, and that track was still pretty boring. No desire to return to this one unfortunately. Purchasing Saturday Night from Amazon helps support Album of the Year. Or consider a donation?